Dr. David Harrington was born and raised in Southern Pines, North Carolina. He earned his Bachelors Degree in Biology from The University of North Carolina at Wilmington. David and his wonderful wife Paige met while in College and have two lovely children. Their family enjoys traveling, camping under the stars, watching funny movies, and especially trips to the coast. 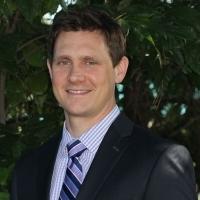 Dr. Harrington Graduated from the East Carolina University School of Dental Medicine. He was a part of the very first graduating class for the new dental school! After working with Dr. Michels in the ECU clinic, he was offered an opportunity to work with Dr Michels & Gauquie. Dr. Harrington specializes in performing dental surgeries including grafting and implant placement, enjoys cosmetic dentistry. His favorite parts of joining Michels & Gauquie Cosmetic & family Dentistry is their wonderful team environment, commitment to an exceptional patient experience, and dedication to innovation, technology and education. Dr. Harrington enjoys membership in several outstanding groups such as the American Dental Association as well as the American Academy of Cosmetic Dentistry. Dr. Harrington is also a member in the Academy of General Dentistry, not to mention the North Carolina Dental Society. He is an approved provider of Fast Braces Technology and Invisalign technology. Dr. Harrington is trained on several different implant systems. While he remains committed to continuing his education and to help innovate in all areas of dentistry, in order to provide tailored, individual care for each patient that he meets.